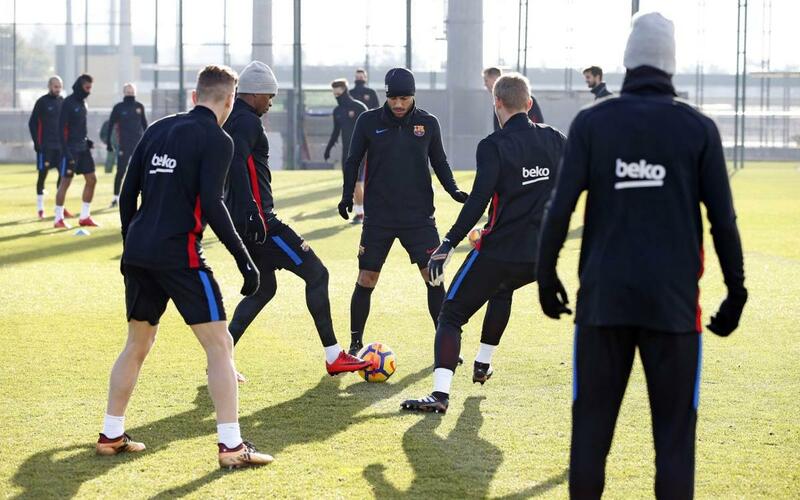 With El Clásico just days away, the FC Barcelona first team continued their preparations for the big game in a morning training session on Wednesday. The available first team players were put through the paces on the Tito Vilanova training pitch at the Ciutat Esportiva Joan Gamper, whilst Jordi Alba and Arda Turan undertook specific training routines. The players will work all the way through to Saturday, when they play Real Madrid for the first time in LaLiga this season at the Santiago Bernabéu. Barça come into the game as league leaders with 42 points, 11 ahead of Madrid with one extra game played.